The only time that smoothing network analyzer data is acceptable is in group delay calculation. The data below was taken from Hittite's web site. 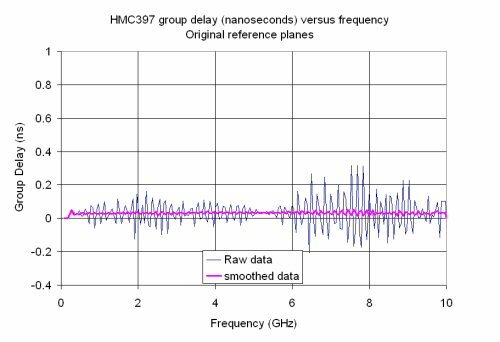 The raw data has so much noise on it, you wouldn't want to use it in a system group delay calculation. But by smoothing just three points for each frequency, most of the noise magically goes away!